Do you care about your craft? No, I mean, really care. Do you think about it a lot? Does it keep you up at night? Is it your release from the stresses of every day life? Is this a fleeting hobby for you… or is it therapy? I’m willing to guess that it’s the latter, or else you wouldn’t have much interest in a place named PassionateDJ.com. Unfortunately, if you’re like most DJs, you’ve discovered something frustrating: DJing is a tough creative endeavor. Actually, let me re-phrase… DJing is easy. But, truly connecting to others through music… now that can be a pickle. And for some reason, no matter what you do, you don’t have audience to share your work with. No matter how awesome that last set was, or the brilliance of your track selection, it just seems like nobody cared. What’s Your Level of Commitment? Go back and read the first sentence of this article. Notice the word I used, there: craft. What is your first impression when you read that word? Does it sit well with you to think of DJing as a craft? Does it feel re-assuring for someone to call it that, or does it make you feel guilty for never thinking of it that way? Here’s the thing: there are lots of reasons to want to be a DJ. There are a lot of types of DJs, and a lot of reasons for them to exist. Some are dazzled by the thought of the overnight success, slingshotting them into the rockstar lifestyle. For some, it’s a job that pays the bills. For others, it’s a hobby that helps them get out of their normal element once a month or so… or even just a new toy to tinker with in the spare bedroom. And guess what? All those are perfectly good reasons! But what about those of us who just feel like they have “it” in them? The ones who have something musical to say, and an extreme desire to share it? Those of us who would prefer to play to a room of 50 impassioned music lovers than to 2,000 indifferent partygoers (but, would overall, choose to play to 2,000 impassioned music lovers)? If there is one thing that separates the fleeting dabbler from the passionate DJ, it’s craftsmanship. Let me give an example: my grandfather, who turned 80 this year. Before you get excited, no, my grandfather is not a DJ. But he is a very inspirational person in my life. By observing him, I’ve been able to witness the results of hard work combined with passion. My grandpa loves building and flying model airplanes. Not R/C planes… control line planes. You know, the ones that are wired to a handle that you control directly by standing in the middle of a field or paved circle. More than flying, he especially loves building them (for his middle-aged son, my uncle, who competes with them nationally). Do you know how much he loves building those planes? So much that he built $20,000 addition onto his garage to contain his hobby because the spare bedrooms (that’s right, 2 of them) were not cutting it anymore. So much that he hasn’t dealt with “kits” in 20+ years… he designs and builds his own airplanes that fly and compete from scratch. (To be fair, this is made possible by his other passions and lifetime career: engineering and drafting.) So much that he even designed, builds, and sells premium-level control handles for the planes. Because the stuff the market provided just wasn’t good enough. You get the idea. He’s super excited and super “into it”. It’s not enough for him to complete a model kit. He gets no sense of accomplishment from that. He gets into his hobby’s guts. 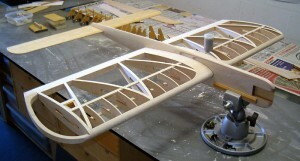 Example of a control line airplane, mid-build. There is absolutely nothing wrong with the entry-level hobbyist, or the dabbler, who builds a few pre-fabbed kits and flies them once or twice a year. 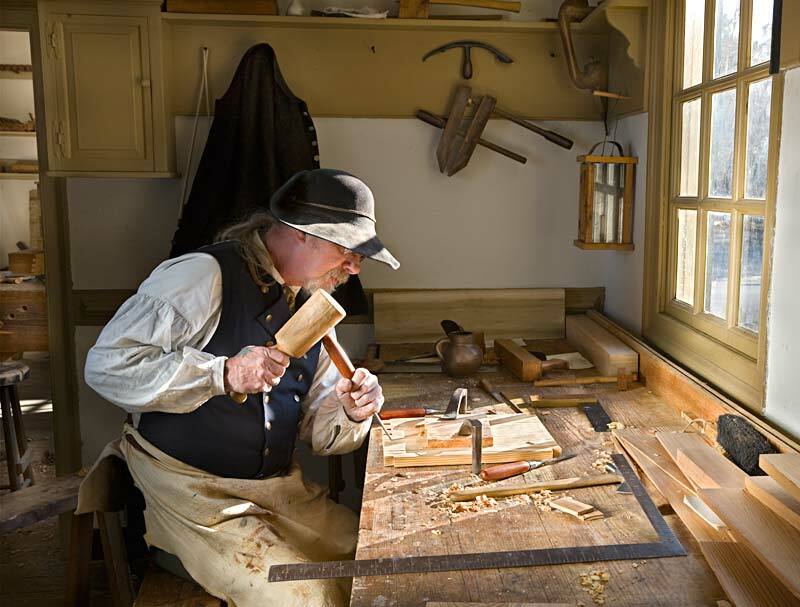 But, there is definitely something that separates the men from the boys when it comes to any job, hobby, or interest… and that difference is craftsmanship. Digging into your craft because you don’t know how to live any other way. You dive head-first into your projects because you love them. That’s what passion is. Passion is the love you have for something, and craftsmanship is the pursuit of mastering that passion. The craftsman treats this process not as a destination, but as something you will do until your last breath. If you think of DJing as something to do when you’re bored, an occasional hobby, or some extra weekend cash… keep at it! Put whatever level of effort into this that you are comfortable with… after all, not everyone wants to do this 110%. We always hear the stories of the overnight success. Avicii produces “Levels” and, all of a sudden, he’s a major superstar*. This divides a lot of us into two camps: those who think that all it takes to be a successful DJ is to produce a hit record, and those who are turned off by the whole circus and become jaded. * note: I’m making no statement here as to the level of talent, work, or commitment that has been put in by Avicii and his team. This is just an example that I’ve heard more than once. But, here’s the thing. If it makes you depressed that allegedly talentless DJs can shoot straight to the top by doing one thing right, you’d be better off dropping that thought altogether. Because in every industry (not just in music), there are a select few who just got lucky by being the right person in the right place at the right time. Then, there are significantly more who have truly put the work in, because they eat, sleep, and breathe their craft. And, finally, the rest of the crowd is filled with wannabes and what-if-ers. So, what group do you want to belong to? The lottery players, the hard-working craftsmen, or the coulda-beens? A person who exhibits craftsmanship realizes that one mix, that one track, that one gig… will soon fade into obscurity. (If you want validation, check the top track on Beatport today, and see how many people are talking about it one month from now. How about one year?) What we need to learn is to enjoy the art of mixing – realizing that the more we mix, the better we get at the craft. When a singer raises goosebumps on our neck, it’s because her passion and purpose (her message) reverberates through her voice. It’s not simply the song she chose to sing, or even the words that were said… but how they were presented. We connect with it on a fundamental level. How can you make that happen when mixing records? Some may say that DJing is nothing but being an iPod, and probably with good reason: that is an accurate description of most DJs. But, just because most people have the ability to write words doesn’t make most people master writers. You have to ruthlessly love your craft, and respect it. It’s about creating momentum. It’s about commitment. It’s about putting your heart into it. Waiting for a “big break” is for the weak. How about falling in love with the journey instead of the destination? What are YOU doing to ensure that you’re doing your craft justice?